Drugs giant GSK's decision to abandon a new £350m factory in Cumbria which promised 500 jobs has been slammed as an "act of betrayal'. The company has also said it is looking to sell-off its existing facility in Ulverston, which employs 345 people. Cumbrian MP and outgoing Lib Dem leader Tim Farron said the move "risked hundreds of other jobs" in the county. GSK said the proposed biopharmaceutical facility, which it announced in 2012, was no longer needed. 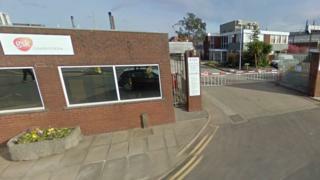 The company said demand for the drugs the factory would produce had fallen over the past five years. But Mr Farron, who is MP for Westmoreland and Lonsdale, said: "I think everyone in south Cumbria has every right to feel betrayed by GSK. "This was a commitment to our community and then out of the blue their change of priorities risks hundreds and even thousands of jobs in South Cumbria, because with every GSK job there were several others depending on it." Labour MP John Woodcock, whose Barrow in Furness constituency includes Ulverston, said: "There was a huge sense of excitement ahead of the expected boost to the local economy, so this is devastating news. "I'm really angry because the people of south Cumbria did so much to win this new investment." Roger Connor, president of global manufacturing and supply with GSK, said he realised it was "disappointing" but is driven by demand. He said: "We are reviewing the Ulverston business because we now think it is non-core to GSK. If it went into someone else's hands, another buyer could invest and really grow those products for the future." A spokesman for South Lakeland Council said: "We will work with the company, the local MP, town, county and district councillors and Cumbria LEP to offer whatever support is necessary.